Recently, I read an interview with illustrator Troy Cummings. One of his recent projects is a fractured fairy tale picture book, Little Red Gliding Hood (October 2015). There’s a lot of great information in the interview, but immediately my brain went to something else. Gliding Hood. Riding hood. Maybe brainstorming rhyming words be a good way to generate ideas for fractured fairy tales. Riding Hood could become Gliding Hood (taken), Sliding Hood, Colliding Hood, and Flying Hood. Okay that last one isn’t rhyme but the same vowel sound. As long as I’m going that route I can add Minding Hood, Twining Hood, and Vining Hood. I’m not sure any of these are brilliant but I can imagine possibilities for Sliding Hood (baseball), Colliding Hood (demolition derby) and Vining Hood (plants/vines). Homonyms are trickier because there are only so many words that sound alike but what if you tried turning something like this into a fractured fairy tail? That could easily yield or version with animal characters — not my forte but a possibility nonetheless. Why not give it a shot the next time you don’t know what to write? Start with a fairy tale or legend and spin-off rhymes and homonym. Or start with a failed idea out of your files. Maybe you can take it someplace new and hilarious. Carson Ellis found the perfect ending for his story when he brought it all home. 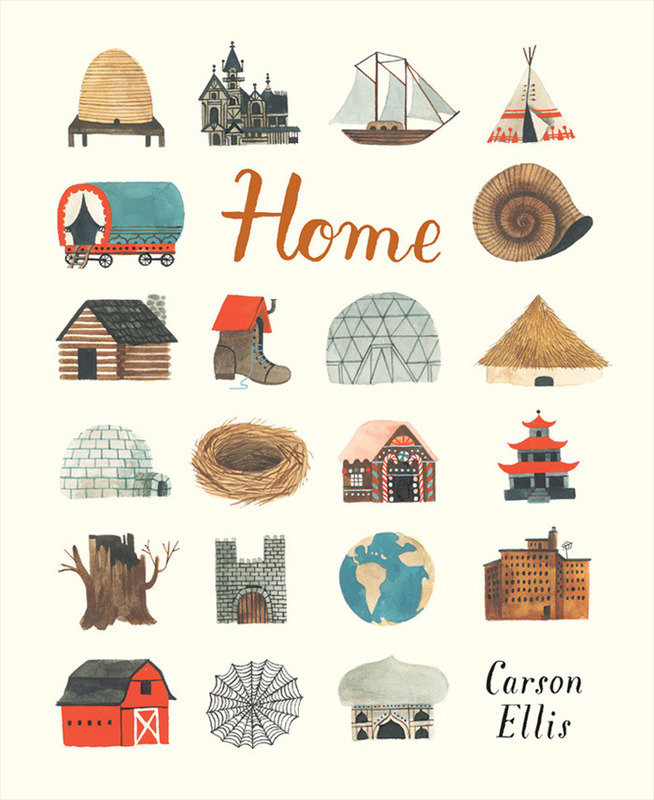 Recently I read an interview with Carson Ellis on Picturebook Makers. She was talking about her new picture book Home. Because she is an illustrator, she sketched out her ideas for the majority of the book before she had an editor. She tells about how most of the sketches made it into the book with little change. The one spread that gave her trouble was the final page. How to tie this book about homes in their many forms all together? It worked when she showed the readers the studio where she created the book. It worked when she made it personal. When we talk about picture book writing and how to end the book, we often talk about an AHA moment. The idea is that you need to find a way to end the book that will make the reader say aha. This is a concept I’ve always had some difficulty grasping. What if my aha moment is different from your aha moment? When I read this interview, it hit me. Ellis is talking aha moment — the moment that sticks with the reader because she has made the book personal. How can you make the ending of your book personal for your reader? Part of it will depend on what you are writing. At the moment, I am working on a nonfiction picture book on prayer. Throughout the book, I give examples of how people pray all over the world. Right now, the ending emphasizes this diversity. Now I’m left wondering if it would work better if I brought it home. How do I pray? You can also make a nonfiction ending personal by issuing a call to action – here is what you can do. . . Or you can challenge your reader to be the next pioneer in the field. With fiction, create a spread that ties into an emotion that will call out to your reader. This can be home or family and security. Again, it will depend on your story. If you are working on a picture book, give your ending some thought. Do you currently bring the ending home? “Long ago, people made everything they needed. Why not give it a try? ASK is part of the Cricket group. They don’t want completed articles but queries. 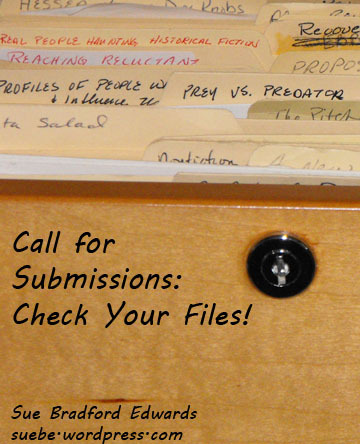 The editors are looking for feature articles (1200-1600 words); the occasional photo essay (400-600 words); humor (200-400 words); short pieces on rofiles of people, inventions, events, or art (200-400 words); and experiments that match the theme. If, like me, you haven’t written for this magazine, be prepared to include a writing sample of 200 unedited words on any nonfiction topic. Final copy must be scientifically correct and you will have to include a bibliography. Interested? Check out their complete guidelines here. Do not destroy books. That’s generally my mantra. But once in a while an artist manages to convince me that what they are doing is creation and not destruction. One of those artists is Brian Dettmer. Dettmer acknowledge that some people find his work disturbing because what they see is the destruction of a book. The cool thing? Dettmer acknowledges that this opinion matters, because we think of books as living things, things that evolve and change and grow. For his part, Dettmer is helping books do just that. He helps us to see something new inside of them because that’s where his art originates — from the inside of the book itself. He seals the outside surface of the book he is work with and then carves into it to reveal images and words in layers. Part of the reason that he works with books is that he loves their yin and yang and I’m glad he brought this dichotomy to my attention. The words in books create pictures in our minds, but when we look at the images in books we think about them using language. Get it — yin and yang. One reason that Dettmer is willing to work with books in creating is art is that he does’t believe that books will die out. I’m going to make you watch his video (below) to find out why. And, you really do want to see this video so that you can check out both his creations and how he thinks about the books we work so hard to create. Here I am at the tail end (yes, I meant to say tail) of the Book Love Blog Hop. I was invited to participate in this February long event by writing buddy Peggy Asher. Book Love gives us a chance to write about books we love, and I have to say that I’ve read some great books lately. Today I’m going to focus on beginning readers. First of all, I ‘d like to recommend Mr. Putter and Tabby Turn the Page by Cynthia Rylant. I got to know this series as the mother of a young reader so I can tell you this — if you want to write early readers, read Cynthia Rylants books. She has both the Mr. Putter and Tabby series and the Henry and Mudge series. It isn’t easy to create characters with depth as well as solid plots in this brief format but Rylant succeeds and adds humor as well. Another author who pulls this off is Mo Willems with his Elephant and Piggie series, including one of his recent titles, Waiting Is Not Easy. Part of the reason that Willems’ books are such a hit is that children identify with these characters. This particular book is about waiting for a surprise and Elephant is the quintessential impatient child. Willems’ books are much simpler than Rylants. He aims for the very youngest new readers. His illustrations are so expressive that they add depth to his book. Last but not least, I’d like to recommend Leroy Ninker Saddles Up by Kate DiCamillo. Di Camillo’s books are for slightly older readers, more advanced than Rylant’s readers. She doesn’t write down to her readers as you can see when you encounter phrases like “very exceptionally cheap.” Readers will work through the challenge for the laugh-out-loud humor in her stories. If you are interested in writing beginning readers, check these books out and make note of the differences. Willems uses no chapters because he is writing for the youngest end of this audience. Rylant’s books have chapters but aren’t as difficult as Di Camillo’s books which also have chapters. Note the changes in the humor and the vocabulary. It isn’t an easy market to break into but these are definitely the books to study. Write like this, and your work will stand against the best. When I was asked to review Authorpreneur by Nina Amir (Pure Spirit Creations/Short Fuse Publishing) as part of the Muffin blog tour, I jumped at the chance. 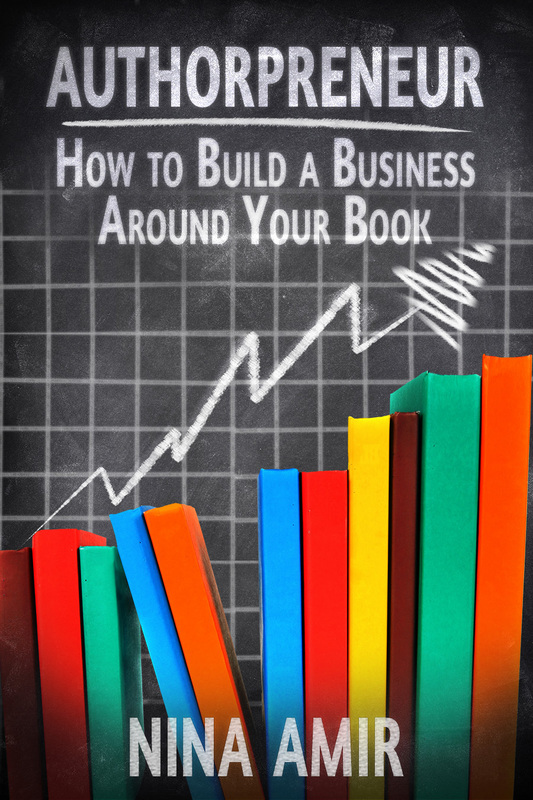 If there are multiple ways to make an income from my first book, I want to know about it. First things first, Amir emphasizes that you need a plan. Income isn’t going to happen by accident. You, the author, have to make it happen. Instead of going with the first idea or two that comes to mind, Amir encourages readers to brainstorm. Not sure what to brainstorm about? Amir has suggestions ranging from free ebooks to telesiminars and more. Follow her steps to come up with your list. Once you have a list, figure out when each item needs to be finished. With that date in mind, you can figure out when you need to start this piece of the puzzle. Short e-books. Based on my Ancient Maya book, I could write short e-books on how to research an ancient culture, what 5 experts have to say about the Maya, and more. Amir encourages readers to go beyond a simple e-book to include videos and transcriptions of videos and worksheets as additional content on your website. Talks based on your book. For nonfiction, Amir suggests that you look at each chapter and see if it could be the subject of a talk. For fiction, use themes and topics as subjects or speak on the writing process. Workshops and classes. These can be built from the topics of your talks. Do you see how Amir takes you from one idea to another? Don’t take the time to develop 6 vaguely related items. Instead, use your book to create e-books and lectures. Take these lectures and turn them into classes and workshops. Lecture or classes can be used to create videos. These become transcriptions. One piece leads to the next. Not that you have to create them all. Amir knows that no single writer will be comfortable with the full range but she still shows you all of the possibilities. In the first several chapters, I sometimes found myself wanting a bit more content. How do I do this? What steps should I take? What do you mean? I should have been a bit more patient — this material was all in the book, in the later more detailed chapters. Although Amir doesn’t take you step by step on how to create an e-book or a webinar, she does take you through the process of deciding what to cover, some of your options, and what tools you need to get the job done. Amir is definitely the one to lead the way and she definitely practices what she preaches. She is author of How to Blog a Book, The Author Training Manual, and 10 Days and 10 Ways to Return to Your Best Self, transforms writers into inspired, successful authors, authorpreneurs and blogpreneurs as an Inspiration to Creation Coach. She moves her clients from ideas to finished books as well as to careers as authors by helping them combine their passion and purpose so they create products that positively and meaningfully impact the world. 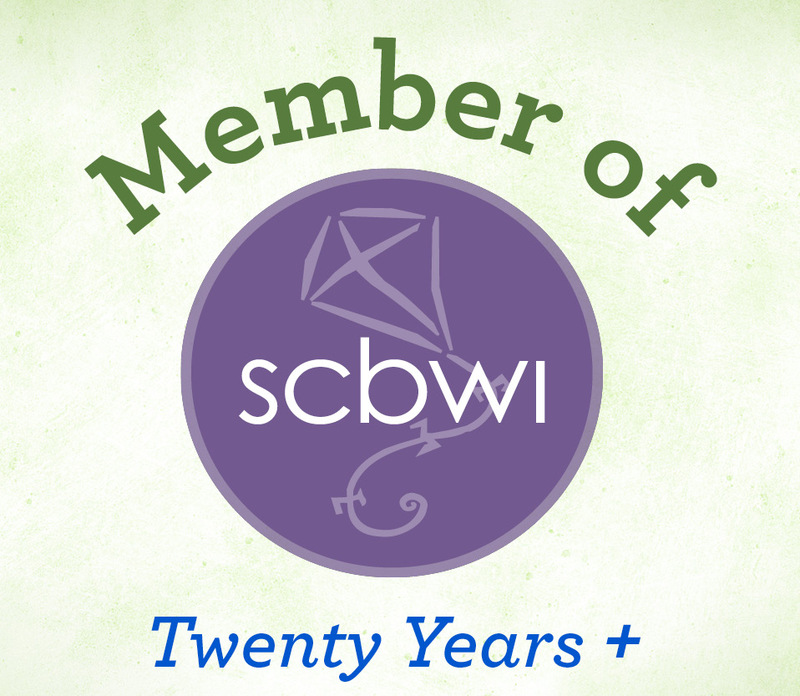 She writes four blogs, self-published 12 books and founded National Nonfiction Writing Month, aka the Write Nonfiction in November Challenge. If you’re as eager to try these techniques as I am, you’ll be glad to know that the Muffin is giving away a copy of Authorpreneur. To enter hop on over to the Muffin and fill out the form at the bottom of the post. Good luck! Yes, I’m looking at agents and here are three who caught my attention. I was especially pleased to see that recent sales for his agency include No Fits Nelson. Funny, quirky picture books. Only pitch one but don’t approach her until you have more than one to sell. Middle grade that is character driven but has a lot of action. Young adult with real teenage characters but not issue stories that are only about the issue. Here is a blog post with tons of specifics. 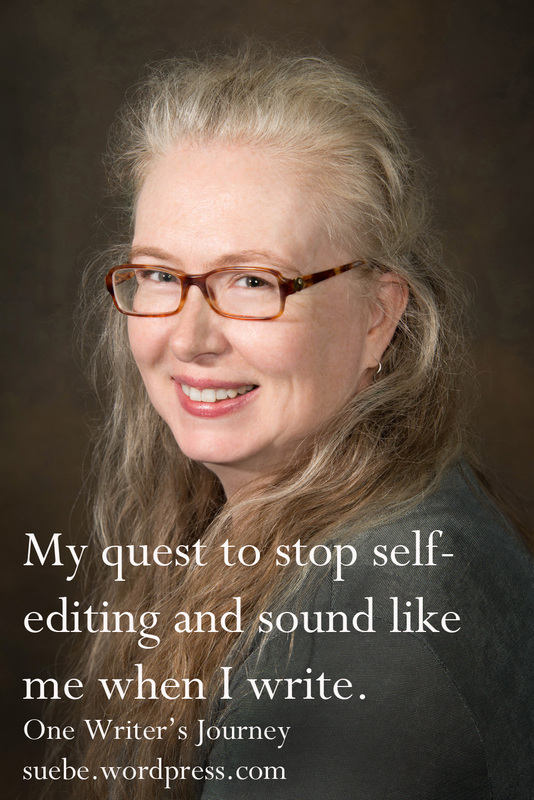 Sally Apokedak at Leslie H. Slobbe Literary Agency. 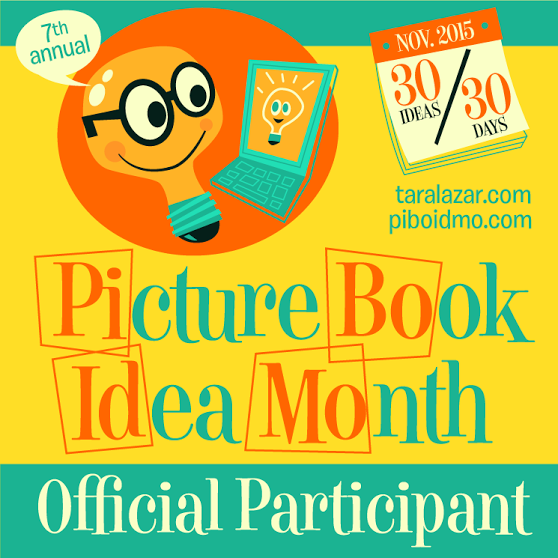 Picture books with quirky, fun, characters. Make it a great read aloud. Conflict and character growth a plus. Funny, boy oriented middle grades. Loves fantasy but wants strong voice in any genre. YA fantasy a favorite. Also loves dystopian, fairy tales, and mysteries. Nonfiction for all ages with topics ranging from devotionals to science to biography. Don’t see anyone here that fits your needs? Here is a list of ten different agents all looking for clients. I don’t think they all represent children’s or young adult literature but there are several agents that I haven’t discussed here. Before submitting to any agent, google them. Read all you can find about them. Look for the best possible fit both in terms of what you write and what you want the agent to do for you. And, as always, good luck! This got me to thinking. Things don’t work quite like this in children’s books. Complications vs true conflict depend completely on the age of the reader and, thus, the character. But if your character and reader are picture book aged, its a completely different situation. 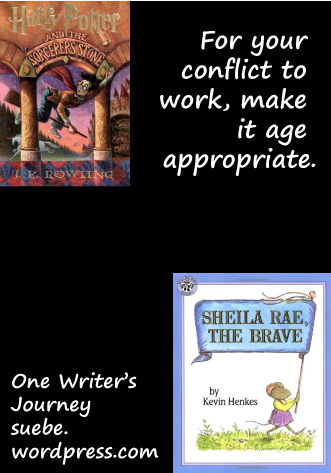 In Kevin Henkes picture book Sheila Rae, The Brave, Sheila Rae gets lost. Her little sister comes to her rescue and the two become closer for it. That wouldn’t work if your character was a typical high schooler, but it works quite well for a preschooler who has never walked home alone. In children’s books, your conflict has to be age appropriate. Make it to old for the character and reader and you may find your five year-old character trying to save the world from an evil wizard who is killing those who won’t join his cause (hello, Harry Potter). Whoa! That’s way too much for this audience. But a highschooler who is overwhelmed by her new backpack, purse or boots is going to make a pretty boring story even if Kevin Henkes made this also fly in picture book form. Conflict vs. Complication. To make it work, you have to make it age appropriate. Six Red Marbles is looking for freelance writers and editors for K-12 Math and Science. You need to have written and/or edited mathematics instructional in the past. You need expertise in Common Core Math Standards, adaptive learning and concept mapping. For the positions in science, in addition to experience, you need to provide writing samples. Instruction on a complex science topic. 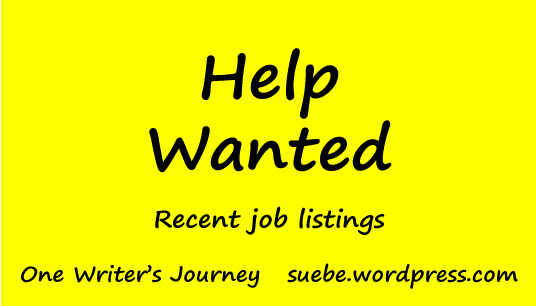 For addition information, including where to send your, see the entire help wanted listing at Writing for the Education Market. I’ll be one of the first people to admit it — I love snarky children’s books. Those lines that are a bit cheeky that make the adult reader cringe? Yep. Those are the ones. Not sure what I mean? Think of any Kevin Henkes book with Lily in it. Yes, Lily often ends up in the uncooperative chair but she makes me laugh while she does it. I get why kids love these books. First things first, writing funny is really hard. I’m not sure why, but it is. It takes a great deal more effort than letting fly with a snarky one liner in conversation. But I have to admit, that that isn’t the only reason. More often than not, I’ll include something snarky, hilarious and, admittedly, immature. But then I hit backspace, backspace, backspace until its gone. The reality is that I have the sense of humor of a teen boy. I know this because I laugh at 90% of the things that my son and his friends laugh at. In fact, I laugh so hard I snort. Then I turn around and one of the other moms or, worse yet, my husband is giving me that tight lipped look. You know the one. Grow up already. But when I don’t edit away these bits of snark, my writing is that much better. It has voice. No, my work will never appeal to certain readers but that’s okay. They wouldn’t get the real me anyway. To read about my search to “write what I know,” see yesterday’s post at the Muffin.